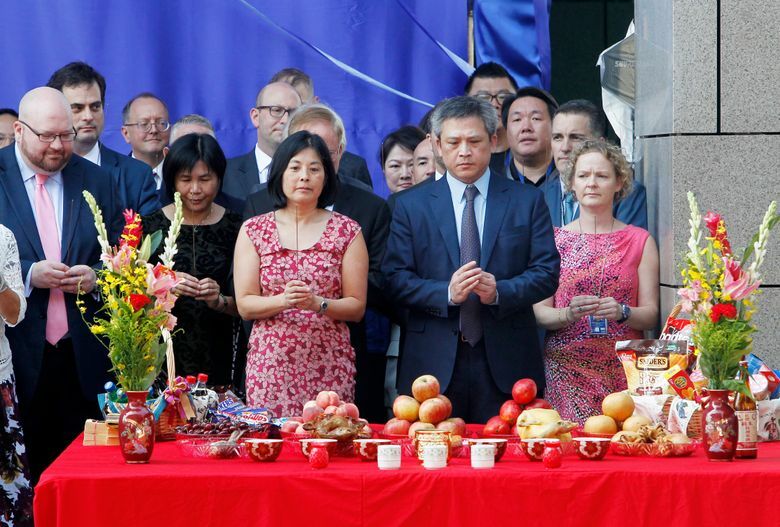 TAIPEI, Taiwan (AP) — The U.S. dedicated a new de-facto embassy in Taiwan on Tuesday in what officials described as an indicator of robust ties with the self-governing island democracy that China claims as its own territory. The ceremony, which drew an angry response from Beijing, is the latest sign of how the administration of President Donald Trump has strengthened relations with Taipei amid a litany of disputes with China and rising tensions in the highly militarized Taiwan Strait. 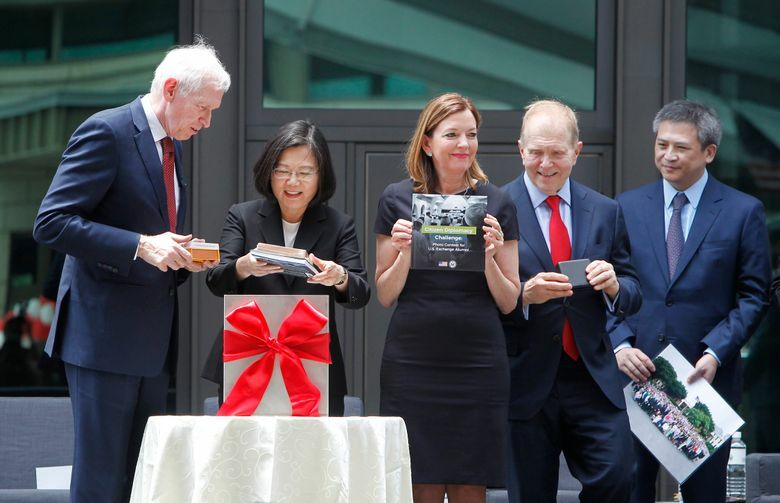 The recently completed American Institute in Taiwan office in a suburb of the capital Taipei will house U.S. representatives and serves American interests in the absence of formal diplomatic ties. 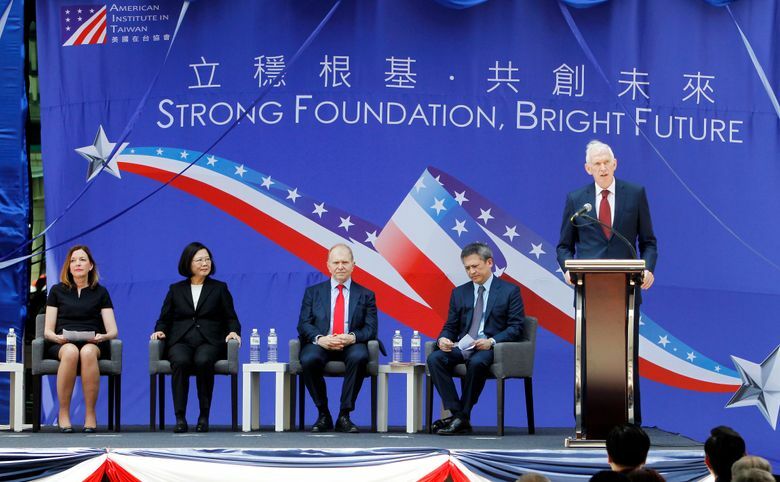 AIT Director Kin W. Moy — the U.S. ambassador in all but name — Taiwan’s President Tsai Ing-wen and a senior State Department official from Washington, attended Tuesday’s ceremony, which Beijing slammed as harmful to U.S.-China ties. 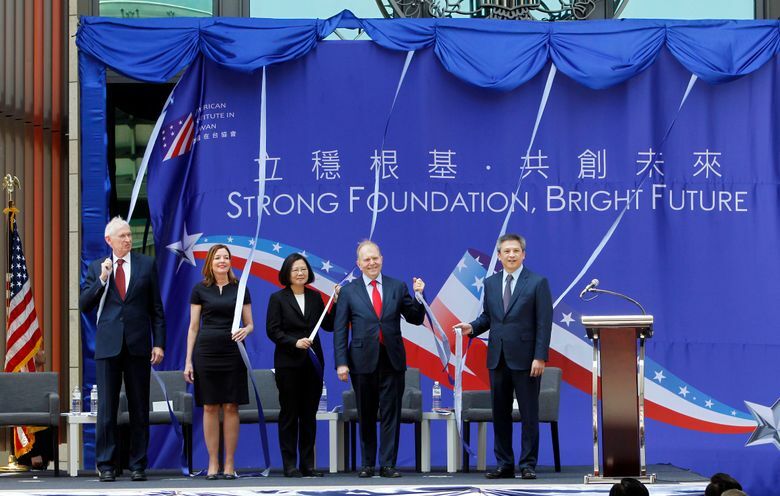 “We should all be proud of this milestone, which is a symbol of the close cooperation and enduring friendship between the United States and Taiwan,” Moy said at the dedication ceremony. The U.S. switched diplomatic recognition to Beijing in 1979 but maintains close economic, political and security ties with Taiwan. Beijing has claimed the island as a breakaway Chinese province and has vowed to take it by force, if necessary. 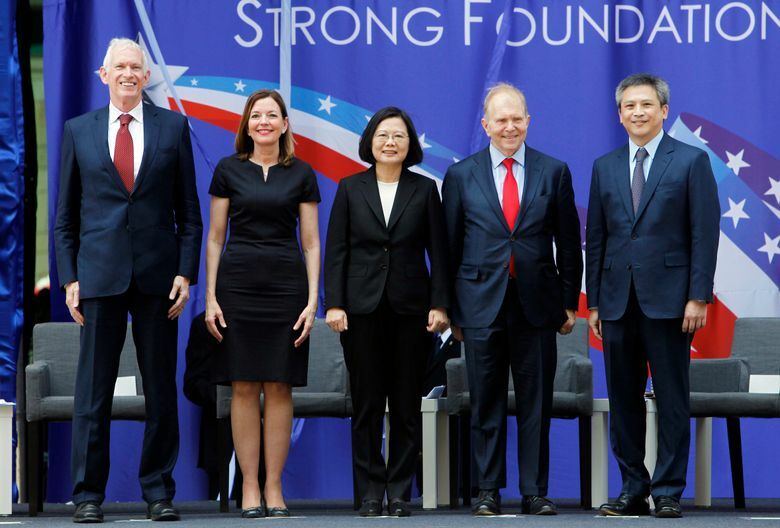 Also attending the ceremony was Taiwan’s President Tsai Ing-wen, whose independence-leaning administration Beijing has sought to isolate diplomatically and threatens with invasion. 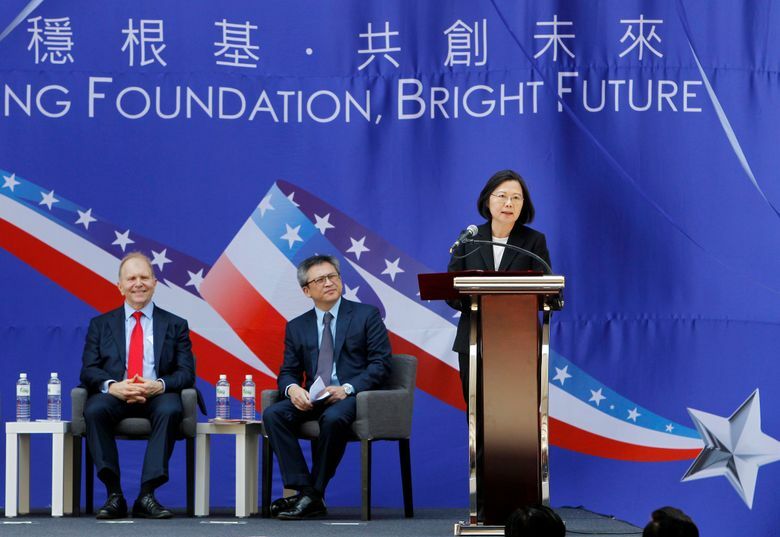 Tsai wrote in a tweet that the dedication of the office compound was an opportunity to “rededicate ourselves to our shared commitment that as free & open democracies, Taiwan & US have an obligation to work w/one another to defend our shared values. 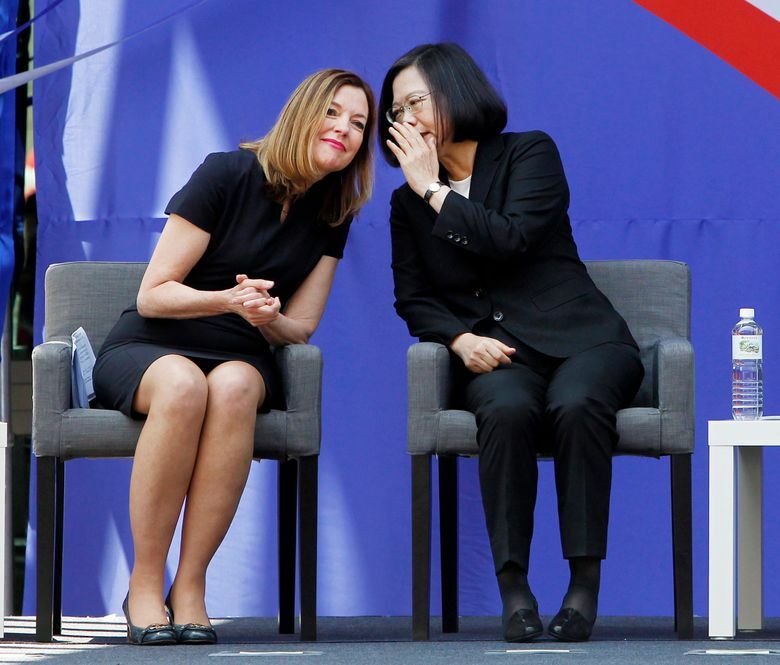 “I look forward 2 an even brighter chapter in our enduring friendship!” Tsai wrote. The sides split amid civil war in 1949, and Beijing insists they eventually unify under its rule. Tsai, who leads the ruling Democratic Progressive Party, has refused Beijing’s demand that she recognize Taiwan as a part of China, leading to a prolonged freeze in relations that had been gradually warming under her predecessor, Ma Ying-jeou of the pro-unification Nationalist Party. China bars Taiwan from membership in the United Nations and many other international organizations and has been luring away the island’s remaining diplomatic allies, leaving it with just 18. Beijing has cut all contacts with Tsai’s government, reduced the number of Chinese tourists visiting the island and upped its military threat with war games and air patrols around the island and by sailing its aircraft carrier through the Taiwan Strait. Taiwan’s military held an exercise last week that simulated a Chinese airborne assault on a major air base. 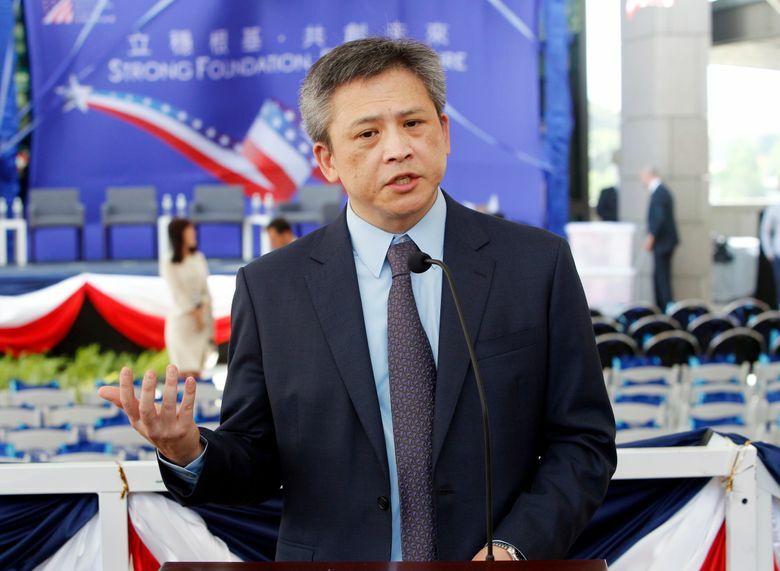 Chinese Foreign Ministry spokesman Geng Shuang said Tuesday that U.S. officials who attended activities in Taiwan under “whatever excuse” were violating diplomatic accords and meddling in China’s internal affairs. “We urge the U.S. to honor its words on the Taiwan issue, and redress its wrongdoing so as to avoid doing harm to China-US ties and peace and stability in cross-strait relations,” Geng said. Taiwan’s relations with the United States have grown closer amid Washington’s own struggles with Beijing. Trump upended decades of diplomatic protocol by accepting a congratulatory phone call from Tsai shortly after his 2016 election. In March, he signed the Taiwan Travel Act that encourages high-level visits between the two sides. A month later, the Department of Defense agreed to give American contractors marketing licenses for diesel-electric submarine technology sought by Taiwan’s armed forces. And last month, the White House accused China of “Orwellian nonsense” for demanding that international airlines refer to Taiwan as a part of China on their websites. “I think Taiwan-U.S. relations have improved in appearance, not in substance,” said Chen I-hsin, an emeritus professor of diplomacy in Taiwan. Taiwan also risks being sidelined in Washington if Trump feels satisfied that China has addressed its massive trade surplus with the U.S., said retired strategic studies professor Lin Chong-pin. “It’s been said before that Taiwan is being used as a bargaining chip, and so far we cannot rule that out,” Lin said. 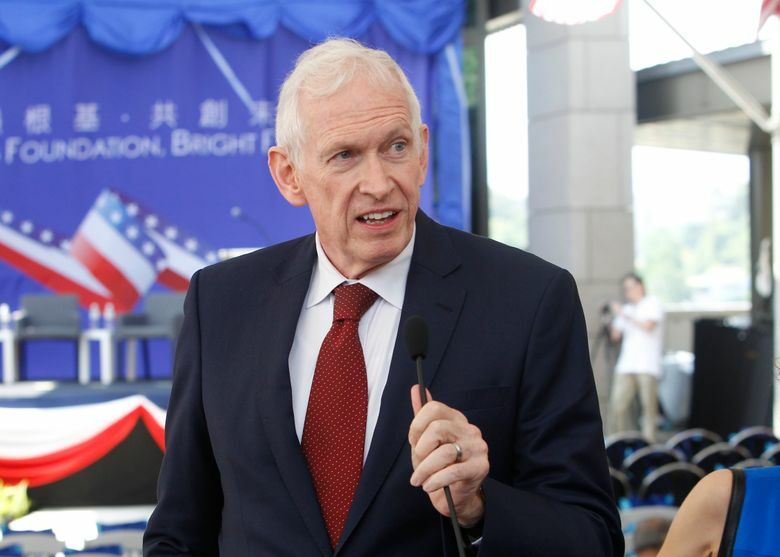 Washington’s decision to “slightly upgrade relations” is mainly due to its disillusionment with China and the ascension of a more hawkish view toward China in the Trump administration, said Denny Roy, a fellow at the East-West Center think tank in Honolulu. 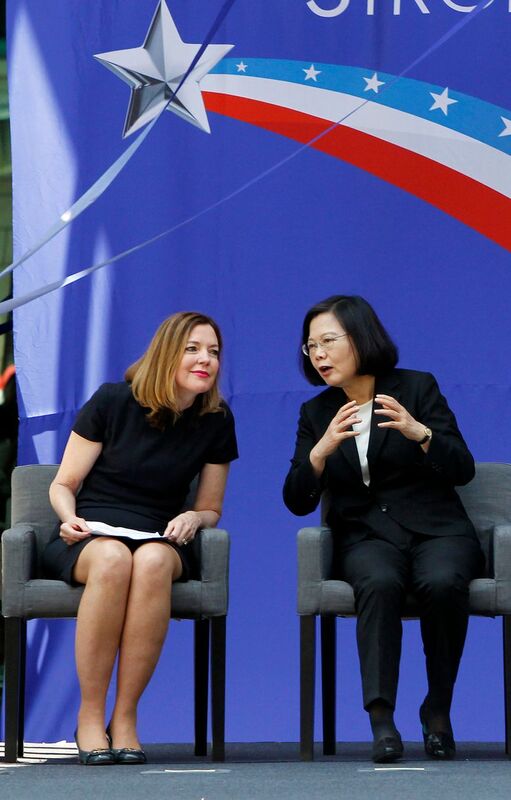 “Hence a few moves to loosen the previous self-limitations by Washington in its relationship with Taiwan,” said Roy. 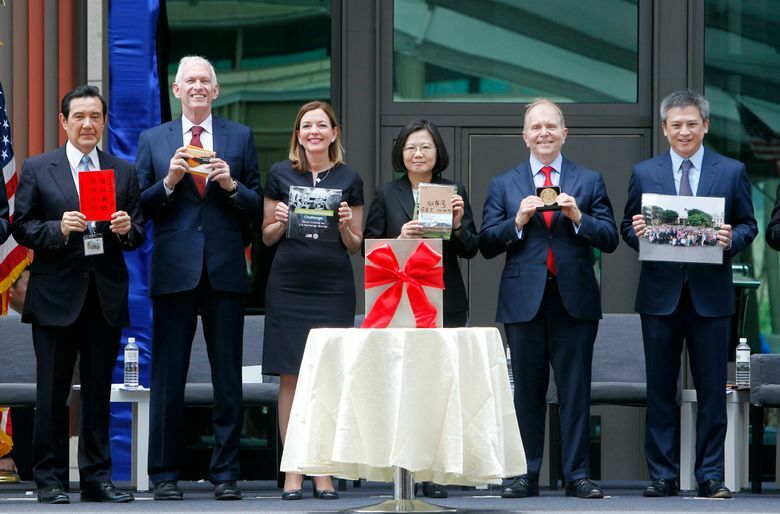 AIT’s roughly 500 staff members will move to the new office complex in Taipei’s Neihu district in the fall. Associated Press writers Gerry Shih and Christopher Bodeen in Beijing contributed to this report.